She is the only one who can realize such a performance on the French Riviera. Our contortionist who is used to work on stage has decided to go another step by working in a giant bubble. 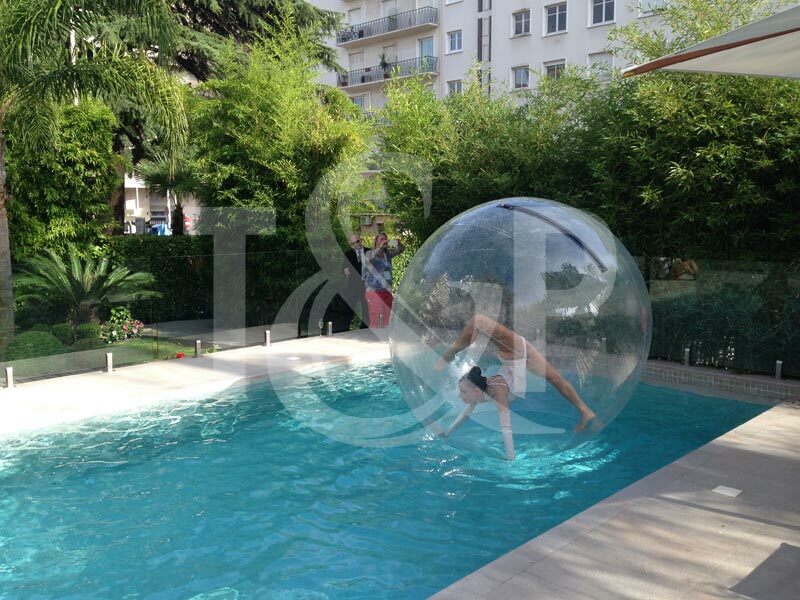 Not only she is in a bubble but she can also worked in the middle of a swimming pool. This is extremely RARE and UNIQUE on the French Riviera!